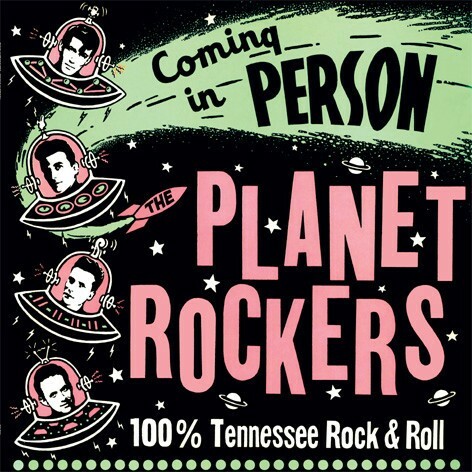 Produktinformationen "PLANET ROCKERS - Coming In Person CD"
Originally released in 1991, The Planet Rockers debut album “Coming In Person” would prove to be a landmark record on the world-wide Rockin’ scene and one that still stands as perhaps the band's finest work. It was in the middle of that same year that me and my band - Big Sandy and the Fly-Rite Trio - first visited European shores. By the time we arrived on the Euro scene, The Planet Rockers had already landed there a year earlier and fans were abuzz with frantic tales of this must-see American combo. followed throughout the rest of that year by several other club hits from this album. Nearly three decades later, the recordings on this most excellent collection sound as fresh and powerful as they did when they first saw the light of day... without sounding dated whatsoever. Here's to hoping that this exciting re-release finds its way into the hands and hearts of a whole new generation of listeners! Weiterführende Links zu "PLANET ROCKERS - Coming In Person CD"
PLANET ROCKERS - Voodoo Woman 7" ltd.